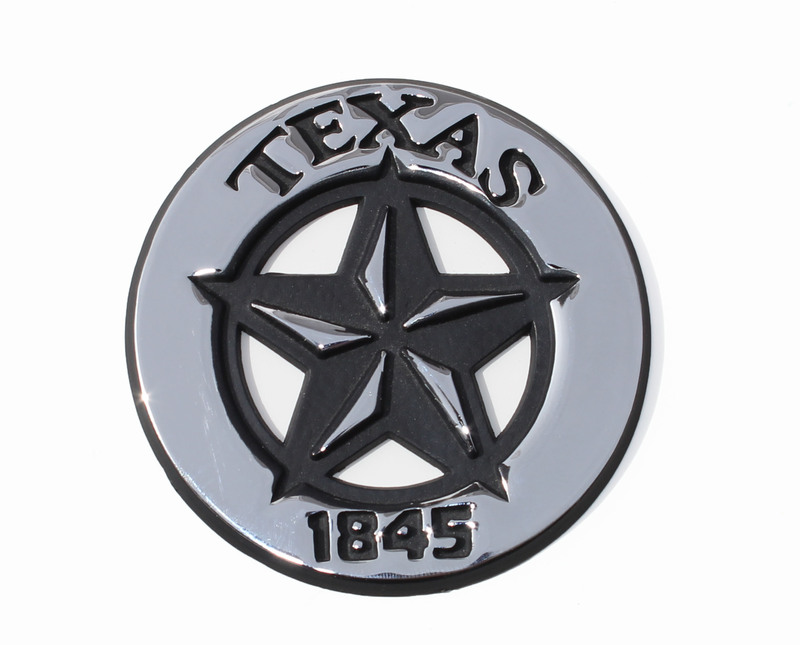 One of our newest emblems, the Texas Star emblem is chrome plated metal for long-lasting durability. Attaches with double-sided automotive foam tape. FREE SHIPPING!